The Future of Food: Can the Next Generation of Farmers Feed America and Save the Environment? The way we grow and consume food in the U.S. isn’t working. Over 40 million Americans don’t have access to affordable and healthy food options and yet billions in federal subsidies are spent every year to prop up uneaten crops. America is one of the wealthiest countries on the planet, yet her farm workers are paid largely unlivable wages. Industrial agriculture was touted as the way to save the world from hunger, but it’s become one of the major drivers of climate change, causing a whopping one third of global greenhouse gas emissions. To top it off, the American Farmer is a dying breed: of the three million or so farmers across the country, just 6% are under the age of 35. With an aging and flawed food system, is there any hope in finding a way to both feed all Americans, rich and poor, and keep from further harming the environment? This was the central question being asked at the Young Farmers Conference at Stone Barns Center for Food and Agriculture in early December, 2016. 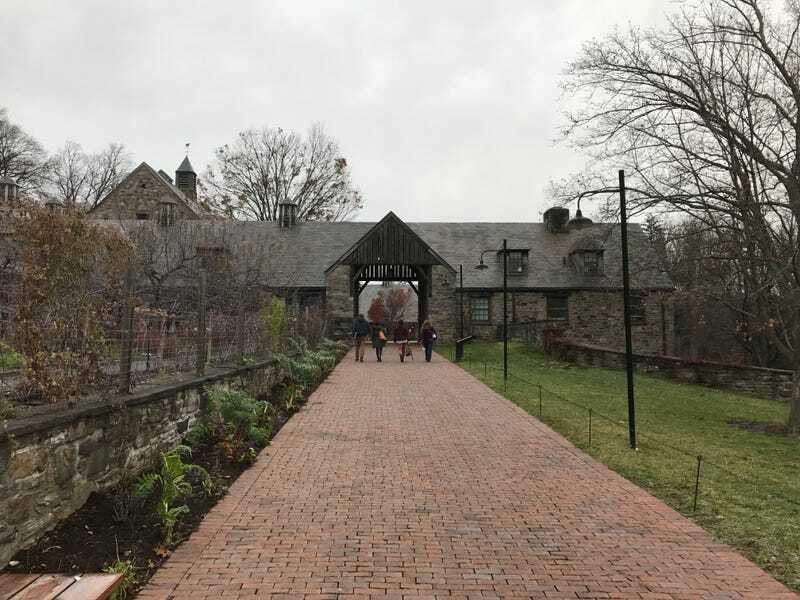 Set against a backdrop of sloping Hudson Valley farmland, Stone Barns Center hosts 250 of the nation’s young farmers for a week every December; the conference is filled with workshops ranging from soil testing and fertility management to food justice and ending racism in farming, all with the goal of supporting new farmers and saving the future of American food. The farmers at the conference, most under the age of 35, came from all sorts of diverse backgrounds; there were urban vegetable growers from New York City, food justice farmers from California, and cattle ranchers from Mississippi. Universal among every young farmer was a level of commitment to their work that is rare to see in a generation often guilty of apathy and distraction. These were people that believed in the value of what they were doing: growing food to make the world a better place. And yet also as a group, young farmers felt overworked, underappreciated, and underpaid. One person can only grow so much food, and so if you really want to change how our food is produced, to have a system that is better for the environment, employs more people, and feeds Americans healthy food, then you need to have more farmers. And to do that you need to break the stereotype of what it means to be a farmer because parents want their children to grow up to be doctors and lawyers. No parent wants their child to grow up to be a farmer. That needs to change. Considering that only about 1% of the U.S. population works on a farm, a historic low, Galbraith-Paul has a point. In order to shift away from large-scale industrial farming, which comes at a huge environmental cost, we’ll need to have more farmers. But to have more farmers we need more young people to go into farming as a career. There are a myriad of ways encourage more farmers, such as counting farming as public service and forgiving farmers’ student debt, or increasing federal funding for small scale farms. In part, Barber’s theory of change is already happening: from 1999 to 2013, the sale for organic food increased five-fold, with stores like Whole Foods leading the way. On the other hand, millions of Americans can’t afford to feed themselves, let alone purchase organic food. And the average size of the U.S. farm has increased over the past five years, indicating the continued advance of large-scale agriculture. The exchange illustrates the complexity of changing our food system, and it’s what makes a conference like the one at Stone Barns Center so important: conversations need to happen at every rung of the ladder. It’s important to have farmers like Arian speaking out for food justice, and it’s important to have chefs like Barber, fighting for delicious organic dishes. Barber ceded that Rivera was right, thanking him for the reminder that change in the food system needs to come from everybody. We’re not just voting for ourselves, but for the over 40 million Americans that don’t have the economic liberty to choose which food system they buy into.